By almost every measure from national rankings to our economic climate, Florida’s teachers and parents have many reasons to be proud. But we also know that success is never final. As a teacher and principal in Marion County, deputy superintendent in St. Johns County and now as your Commissioner of Education, I am proud to serve at a time when momentum and passion are on our side as we continue making Florida the best place in the nation to learn, to work and to live. There is much that we can brag about in Florida. In the past two years, Governor Rick Scott has proposed more than a $2 billion increase in K-12 funding that lawmakers approved, including $480 million for teacher pay raises. National rankings show that Florida is moving in the right direction. High school graduation rates continue to increase at the fastest rate in the nation, with Florida leading the nation in the rate of Hispanic graduates. Four of the nation’s top ten public high schools are in Florida, according to Newsweek. 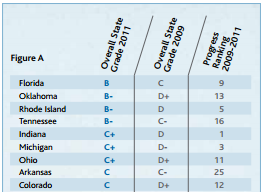 And, the National Council on Teacher Quality rated Florida as #1 in the nation in the area of teacher quality. These ratings are wonderful testaments to the work of teachers, parents, administrators and principals. But the best results are shown in the number of Floridians who are prepared to succeed in college, in careers and in life. Since December 2010, Florida has created more than 333,000 private sector jobs while our unemployment rate has dropped well below the national average. While there are many factors involved in making Florida the best place to work and to live, the opportunity to learn is among the most critical items that families and employers consider when choosing Florida for their home or business. I am proud of all of our teachers, schools and education professionals that continue to fuel our state’s robust comeback. Even with our successes, we must always face challenges openly and quickly. While Florida’s competitive standing has improved dramatically, we must keep the pace in developing world class opportunities for students. With the implementation of new, more rigorous state standards in 2014-15, we will increase flexibility for schools and teachers while empowering students to think with the creativity and critical thinking they need to thrive. With this exciting change comes an opportunity to refresh our accountability system that has made Florida a national model. Schools, teachers and parents embrace the challenges that come with higher standards. But we must make sure the expectations for schools and educators are clear and easily understood. During my first weeks on the job, I spoke with superintendents and met with teachers and parents ready to start the new school year. Like them, I am eager to build on past successes while working together for continued improvements. And as we consider the best paths ahead, it is my promise that every decision we make in Tallahassee will be focused on helping each child from Pensacola to Key West have the same opportunity to succeed. In Florida’s classrooms, we encourage students to dream big. But far too often our young graduates find that they don’t have the financial knowledge or resources to make their dreams a reality. A recent nationwide survey discovered that less than half of high school seniors had a general understanding of credit, savings, insurance and retirement. Preparing students for today’s global economy means teaching them how to be successful inside and outside the classroom through comprehensive financial literacy education. A 2011 Charles Schwab survey found that on average, college graduates expect to earn $25,000 more than the nation’s actual average starting salary. With these unrealistic expectations, students can find themselves with more debt than they have the capability of repaying; or become discouraged from pursuing higher education or the career of their choice. This week I was able to work with other education leaders during the 2013 Florida Financial Literacy Summit in Tampa on how we can successfully include personal finance instruction in our local schools. 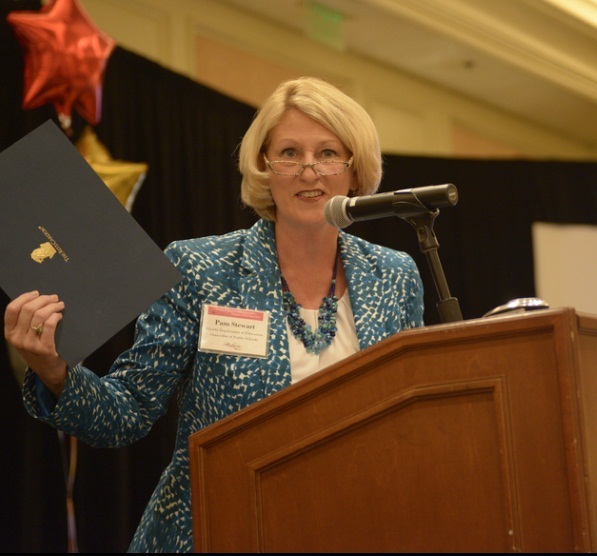 The Florida Council on Economic Education has been instrumental in statewide efforts to help students develop strong financial skills and show them how the financial decisions they make today can influence their lives for years to come. Thanks to our partnership with the council and other organizations, we are working with school districts to put financial planning tools in the hands of Florida’s students. 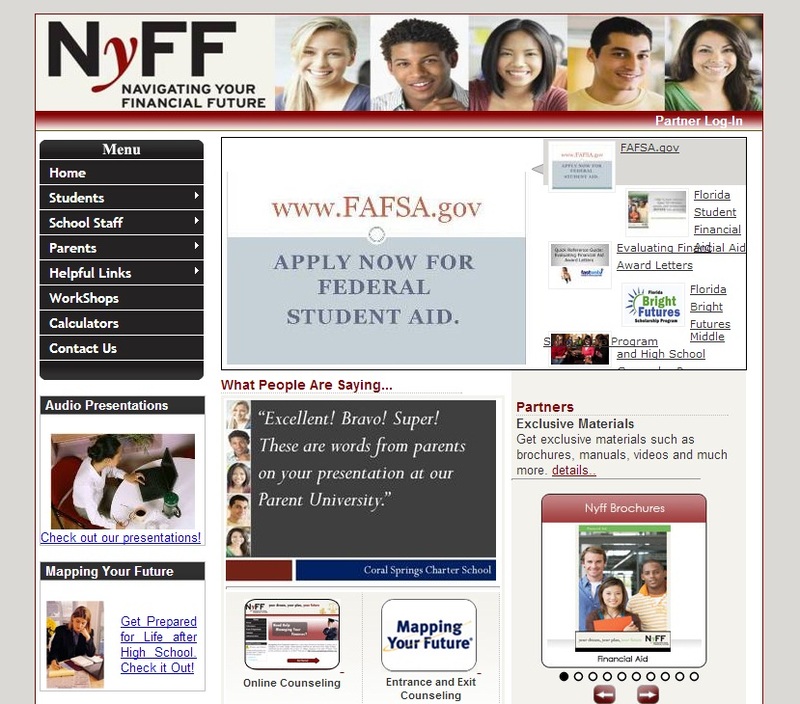 One resource available to students is the department’s “Navigating Your Financial Future” website, featuring debt calculators, loan eligibility wizards and other helpful information for students and their parents. Students with developed financial skills are more likely to achieve greater financial security and become powerful economic engines to Florida’s competitive economy.